Every spring winning teams are invited to Capitol Hill where they demo their apps to their Representatives at a celebration called #HouseOfCode. It’s the most prestigious demo day in student STEM — the new national science fair. 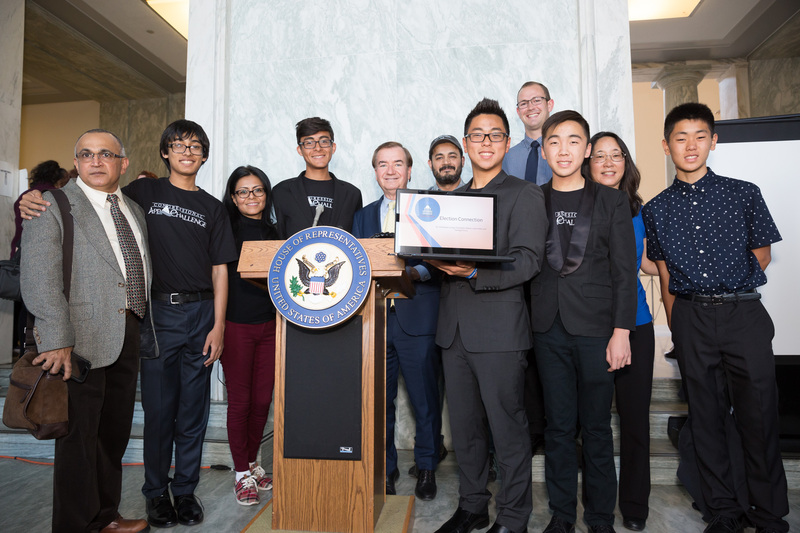 At #HouseOfCode students get to see their apps displayed in the U.S. Capitol Building, meet their Representatives, and connect with other coders from around the country! This year, #HouseOfCode will be held on Thursday, May 9th! 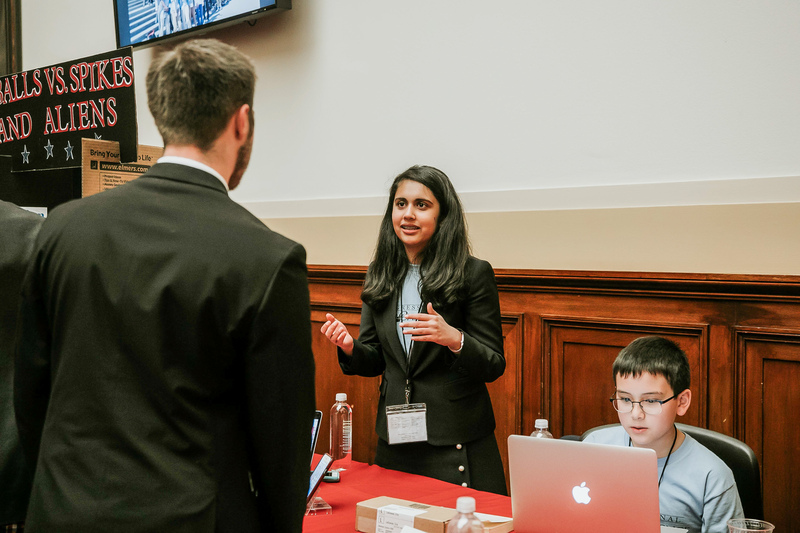 At this year’s #HouseOfCode, students will hear from current lawmakers, tour the Library of Congress, and demo their apps for their Representatives and the broader DC Tech community. RSVP details have been sent to all winners, parents, and teachers. The student demonstrations will be held from 4:30-6:30pm in the Rayburn House Office Building. The general public can RSVP to view these demonstrations by clicking here! #HouseOfCode 2019 will be held on Thursday, May 9th. Please check back for more details!